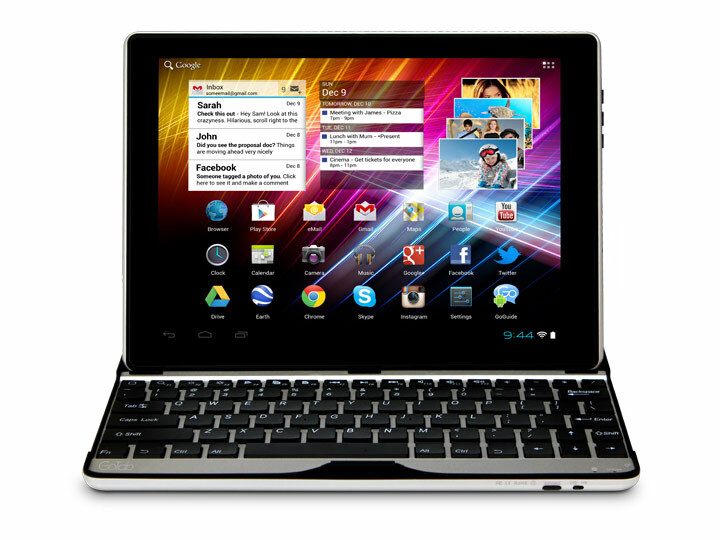 With Android 4 (Ice Cream Sandwich), the touchscreen operating system has taken a huge leap forwards and is both straightforward and enjoyable to use. Intuitive to use, and easy to navigate, you can be setup and surfing in minutes. 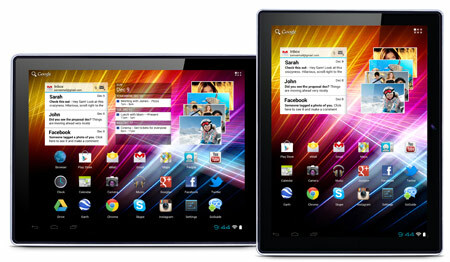 If you’ve never used a tablet or Android before you can get help and advice from our exclusive GoGuide. Here to introduce you to Android 4 on your new GoTab, show Help Topics to discover new things, and to let you contact the Helpdesk if you have a problem, you can also find information relevant to your particular GoTab Model. 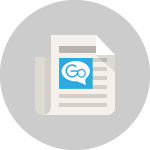 Whether you need help and advice, or to report a problem; we are here to help- just tap the GoGuide icon on your Home Screen! 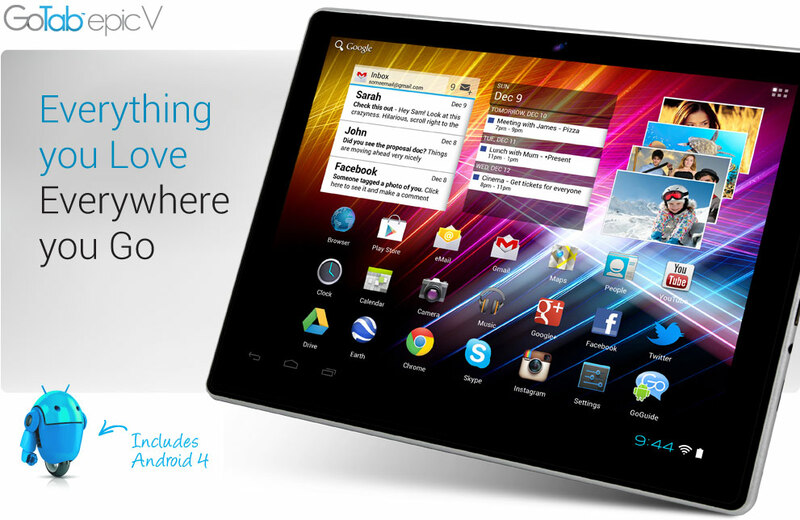 GoTab Epic V means you can play more, do more, watch more and work more on the go. With more than 1,000,000 apps to choose from, you can find the right app when you need it. There are thousands of apps for free, from Angry Birds, to Office Software, and Internet Radio so theres something for everyone. The number of apps grows every day so you can keep up with the latest trends with the Featured or Trending apps and stay right on the pulse. If you buy an app and decide you don’t like it you can even get a refund as long as you return it within 15 minutes! The GoTab’s capacitive screen means you can make the most of new multi-touch apps, and the Gsensor means you can automatically flip the screen from landscape to portrait. 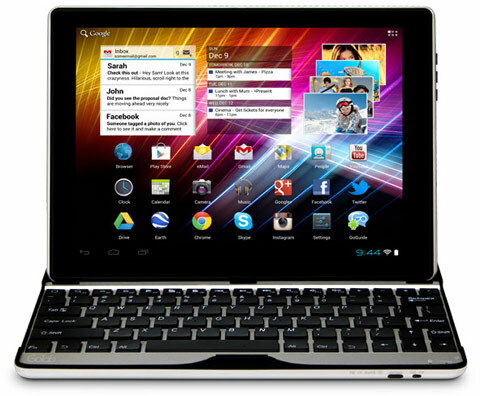 Browse the net wirelessly with multi-tabbed browsing using the finger friendly virtual keyboard. Send GMail to friends and family, and with Ice Cream Sandwich you’re business ready with support for Microsoft Exchange® eMail. Whether its via the free apps, or using the websites (like in the old days!) you can keep track of your social life and networking using Facebook® and Twitter®. Get your party plans sorted, share your holiday photos or just let the world know what you’re up to. Adobe® Flash® has now been superceded by HTML5 and the GoTab Epic V supports the new website standard with Google Chrome (free download) so you can enjoy the best of the web everywhere you go. When you turn the GoTab Epic V on, the first thing you notice is the stunning crystal display. With a vibrant LED backlit screen and ultra-responsive capacitive-touch screen you can enjoy the web, movies and apps to their full. The multi-touch technology lets you use multi-touch apps with the slightest flick or swipe of your fingertips and you can even pinch to zoom into webpages or photos for a closer look. 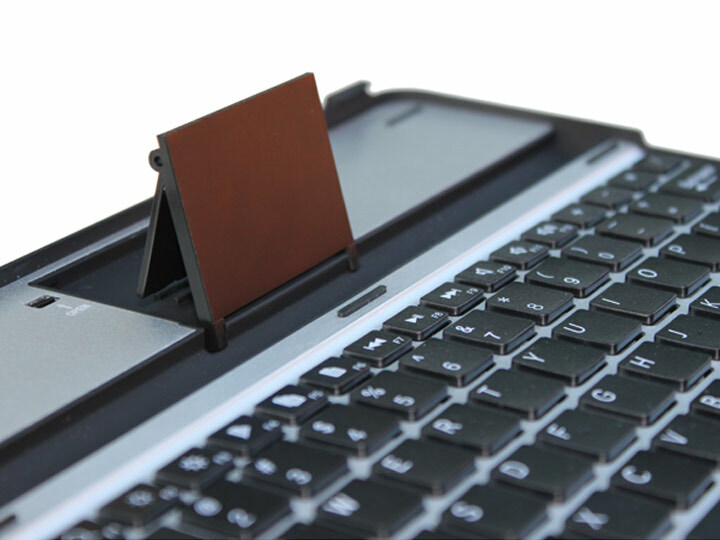 Dock your GoTab Epic V into the Bluetooth Keyboard and you can tap away the hours writing documents, emails, or chatting online. 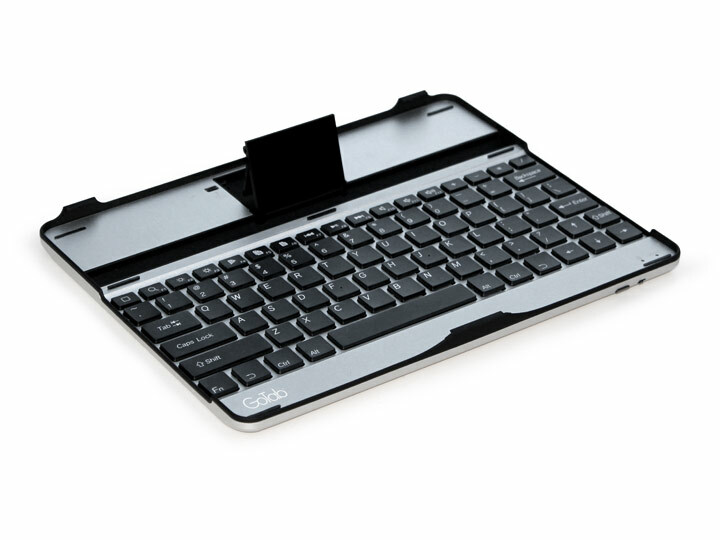 The aluminium keyboard (sold separately) frees up screen space on your GoTab letting you type with the QWERTY chiclet keyboard rather than the vitual onscreen keyboard- it just connects wirelessly via the onboard Bluetooth connection. GoTab has 5 homescreens so you can set up individual screens with different apps, shortcuts and widgets. You can set up different things for different pages so you can have 1 for work, 1 for home and one for play! You can also as add widgets to show your latest email, the weather, news or even toggle your battery efficiency. The GoTab Epic V has a powerful 1.2GHz processor so you can keep numerous apps open to quickly jump from one to another at the touch of a button. With the built in copy and paste function you can copy easily text from the web and email it in an instant. 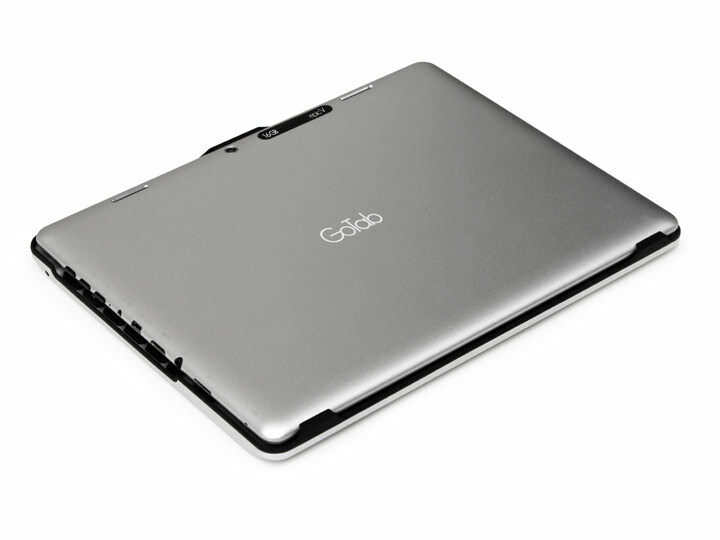 The GoTab Epic V GBT97 has a stylish Aluminium unibody design so its perfect for taking everywhere you go. The sleek chassis contains a compact powerhouse of the latest ARM technology giving you a low power, high performance CPU, complete with dedicated graphics and 1GB DDR3 memory to handle your daily tasks with ease. If you plug your GoTab into your TV via mini HDMI cable (not included) your GoTab will display whatevers on the screen on your TV. Its perfect for showing off your holiday photos, checking out a YouTube clip or playing Angry Birds in a group, when you pop round to friends and family. 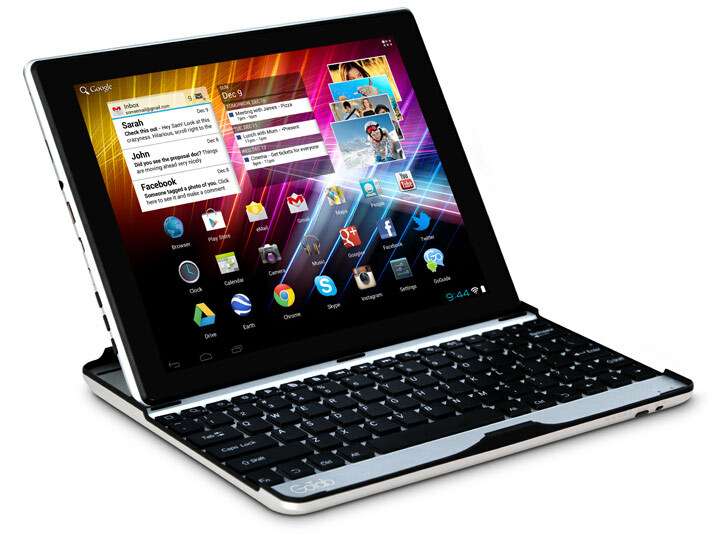 Note- Bluetooth Keyboard Case & Tablet are sold separately. • Not all apps are compatible with GoTab and Android 4. *Requires Internet Access which may be chargeable. Bluetooth Keyboard not included as stanmdard. Requires signup for free Google Account, and free download. Terms and Conditions apply. Screen images simulated. ** 16GB = 16 Billion bytes. Actual formatted capacity is less and storage quoted excludes ~1.5GB storage occupied by Android OS.